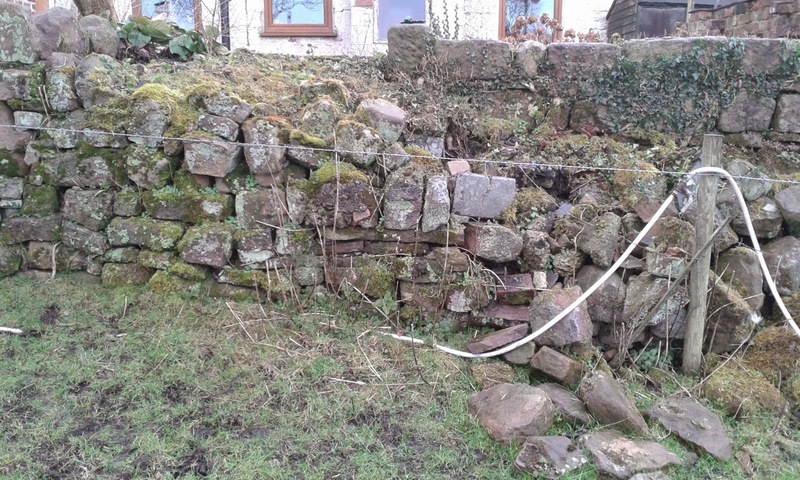 Copestone Dry Stone Walling: Walling in the warm...at last! 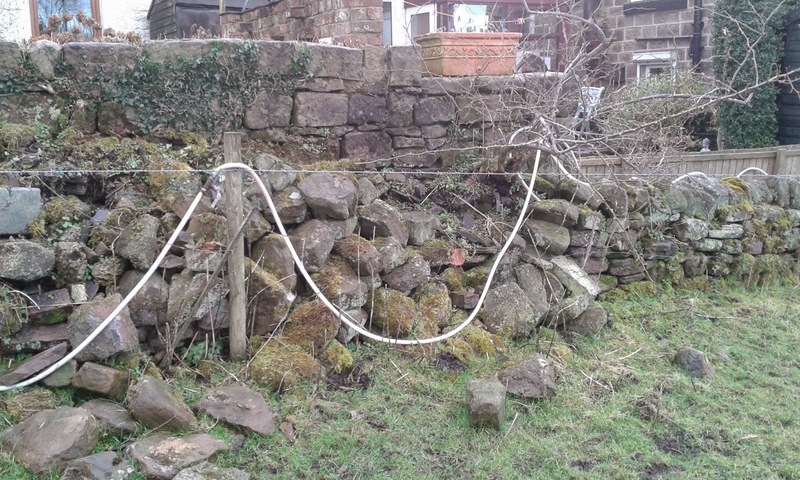 Walling in the warm...at last! 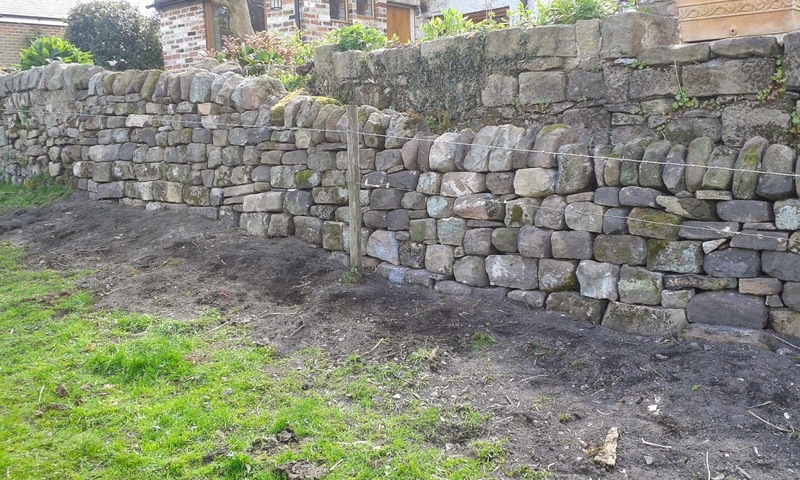 Just finished a wall near Belper. 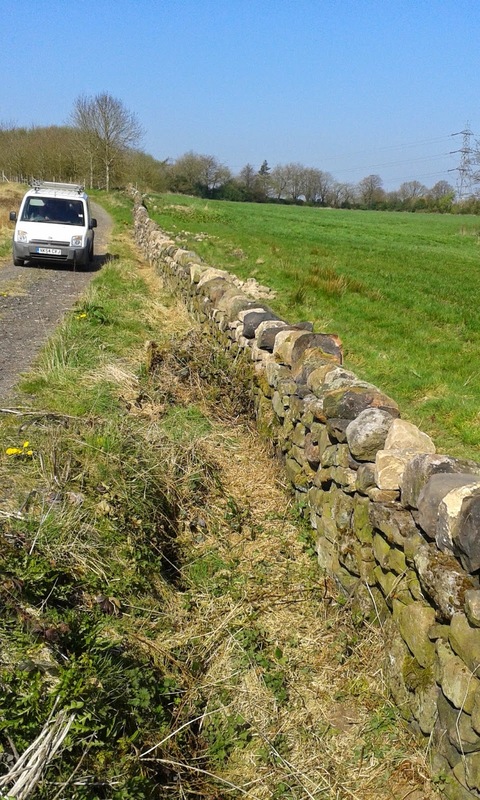 Walling in gorgeous sunshine, lucky lucky me! Very decrepid and stuffed with rubbish! Been walling recently in Staffordshire with my colleague Steve Clifton and have been treated to summer like days...even been walling in t-shirts having shed between 3-7 layers of thermals! Last day, wall finished, sun's out, life's good! Curlews, meadow pippits and buzzards are calling and pairing up ready for the breeding season, saw my first swallow, feels like Spring is definitely here!